Sandra Kovac: Whoever heard of an ounce of brandy? The quintessential Warner Bros melodrama. To my mind this film is perfect - a classic example of what the studio system of the golden years of Hollywood could achieve. Strong direction, witty dialogue, beautiful music, sublime cinematography, crisp editing, gorgeous production design and costuming, brilliant performances - every element of this film is perfect. 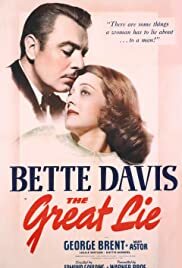 Add to all that the daring (for its day) story-line, Bette Davis at the height of her dramatic powers and at her most beautiful, and Mary Astor delivering what I think is one of the great screen performances of all time, and you have a very special film indeed. Although the film may seem to have dated elements, especially in the depiction of the African-American characters, if you let yourself watch the film with 1941 eyes you will be richly rewarded. Besides which the wonderful Hattie McDaniel brings so much depth to what could have been a simple stereotype. As you can tell, I love this film. I understand Bette Davis and Mary Astor loved working together - and you can see that on the screen. The scenes between the two of them are electric, with so much being said beyond the words. Thank God Astor won an Oscar for her work here. She truly deserved it. 37 of 37 people found this review helpful. Was this review helpful to you?